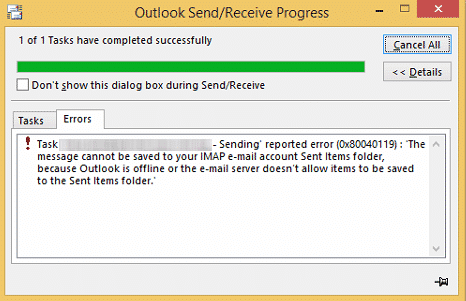 Outlook Error 0x800ccc90 – The Outlook provides outstanding emailing service. But sometimes the user can face issue which can be caused by any reason. 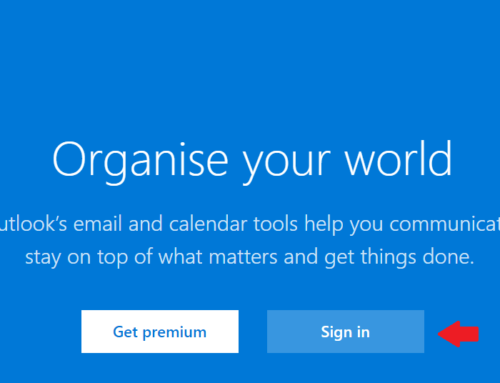 We are here to help you fix your Outlook Error. 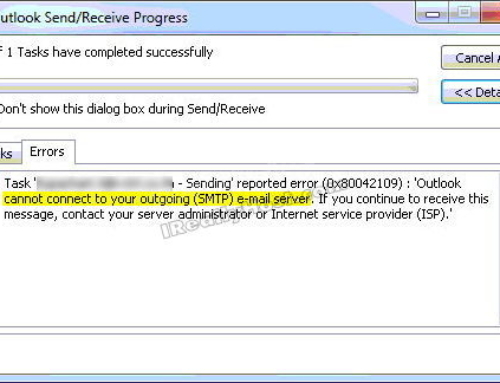 You can always get Outlook Support here at Contact Assistance. 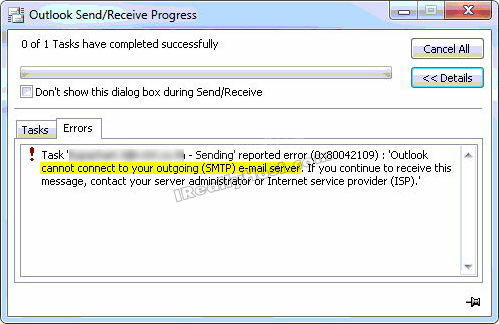 Outlook Error 0x800CCC90 manifests if you have configured more than one POP3 email account in your Microsoft Outlook and trying to send or receive emails using these accounts simultaneously. 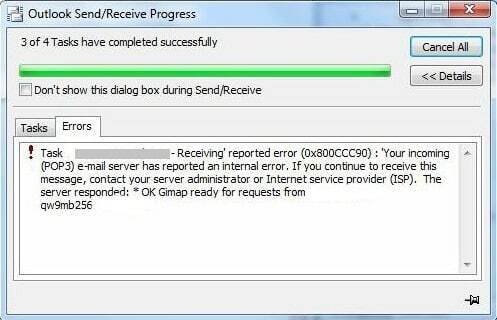 This error message can blink on your Outlook screen while clicking on the Send/Receive button to perform transformations of emails. 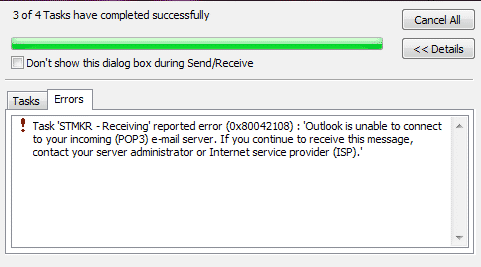 It states that the Outlook error code 0X800CCC90 occurs when a user crosses the limit of POP3 connections that are assigned by the Internet Service Provider(ISP). 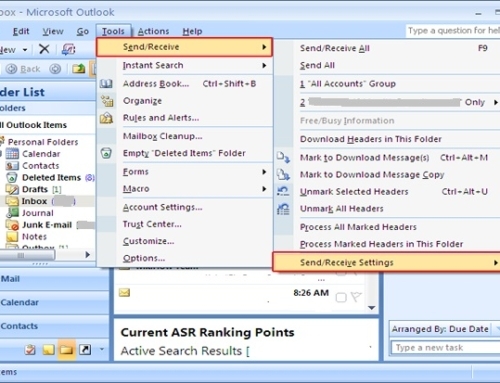 There is a manual workaround through which a user can resolve the Outlook error 0X800CCC90 by grouping all the accounts in a new Send/Receive group using the advanced Outlook send/receive settings. Click on “Tools”, go to the “Send/Receive Setting” option and after it click on “Define Send/Receive Group”. Now, click on “New” and start creating a new group. 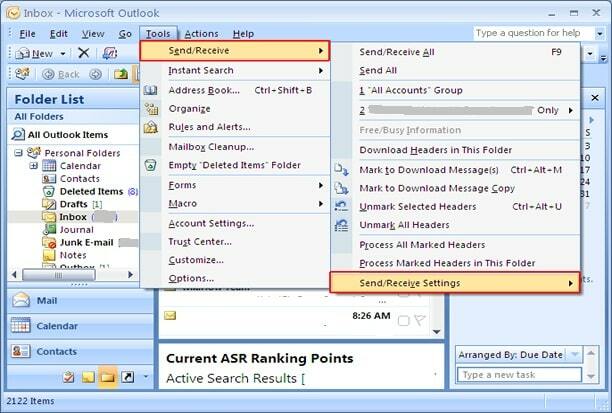 In Send/Receive Setting name box, type the name you want to define for a group and then click Ok. In the left pane under Accounts column, select all the accounts that you want to include in the group and then check the “Include the selected account in this group” box. Move to a bit advanced settings and check the settings to send and receive mail items and mark them as checked if they have been not marked yet. Also, enable the “Download complete item including attachments” option to download attachments along with emails (you can even define the limit size for emails). After creating Send/Receive group click on Close button. To send and receive an email of each group, click on “Tools”, point to “Send/Receive” and after that click on specified Send/Receive group name to transfer emails from it. 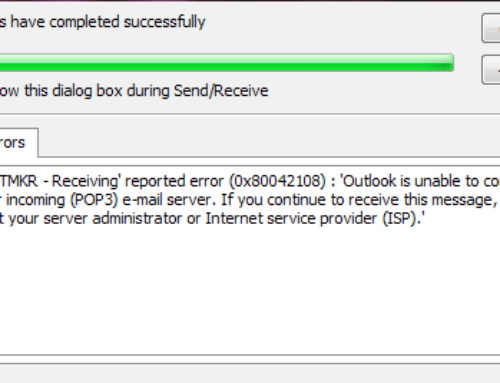 If you Outlook Error 0x800ccc90 is still there then you can call the Outlook Support and talk to a technician to fix this error. 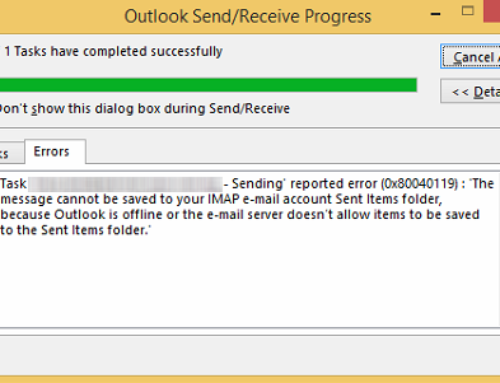 Hope you like the Article related to “Outlook Error 0x800ccc90“!